Comment from Old-Thinker News: Dr. Phyllis Mullenix became well known in the field of neruotoxicology when she developed a new, more accurate system of analyzing chemicals effects on the brain and central nervous system. The new technology was called the Computer Pattern Recognition System. She received funding from a variety of high profile sources, and consulted with Exxon, Mobil, 3M, DuPont and others in her early career. She was very well received until she began to investigate the effects of fluoride on the central nervous system. Ultimately, her career was destroyed because of her investigation. This presentation by Mullenix at Clark University in 1996 was done two years after she was fired from her toxicology position at Forsyth Dental Center. Mullenix covers vital information regarding secrecy surrounding Fluoride and the Manhattan Project and much more. For more information be sure to check out Christopher Bryson’s book The Fluoride Deception. Is the fluoride in our water really good for our teeth? It’s posted over at Free Britain. New science indicating fluoride’s dangers to the brain and other organs will be presented by prominent fluoride research scientists during back-to-back conferences of the International Society for Fluoride Research (ISFR) and the Fluoride Action Network (FAN) in Toronto August 7-11, 2008. Fluoride, added to water supplies to prevent tooth decay, is also in virtually all non-organic foods and beverages. Fluoride’s brain effects were never examined prior to water fluoridation. 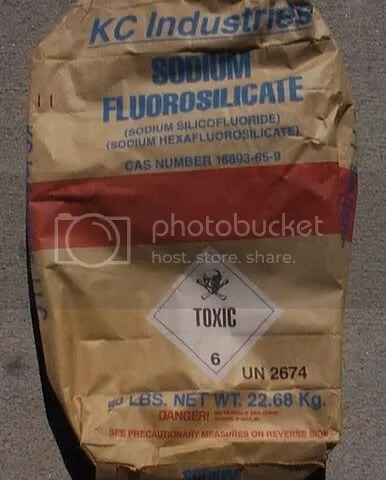 “It is hard to believe that any “weight of evidence” analysis could possibly dismiss fluoride’s neurological impacts. There have now been over 40 animal studies which show that fluoride can damage the brain, and no less than 18 studies which show that fluoride lowers IQ in children, and only 2 that don’t. I look forward to reading the full report when it is made available,” says Paul Connett, PhD, FAN Executive Director. According to ISFR conference organizer, Dr. Hardy Limeback, “Our conference features experts who researched the dangers that fluoride poses to human health. Our keynote speaker, Dr. A.K. Susheela, (Executive Director, Fluorosis Research and Rural Development Foundation, India) probably knows more about fluoride’s toxic effects to the body than any other living scientist. It is important that officials who promote water fluoridation hear what she and others have to say,” says Limeback. These compounds originate as side products from the processing (“defluorination”) of phosphate ores to prepare fertilizers, food additives, etc. Fluorides such as sodium fluoride (NaF), sodium monofluorophosphate (“SMFP” or “MFP”, Na2FPO3), tin(II) fluoride (“Stannous fluoride”, SnF2), and amine fluorides are common ingredients in toothpaste. Source. Hydrofluosilic acid (H 2 SiF 6 ) and other fluorosilicates are not naturally occurring. They are waste products derived from the industrial manufacture of aluminium, zinc, uranium, aerosols, insecticides, fertilizers, plastics, lubricants and pharmaceuticals. Professor Kaj Roholm , former Chief of the Toxicology Committee for the National Research Council the author of the first and most comprehensive monograph on fluorosilicates classifies hydrofluorosilic acid and hexafluorosilic acid as “extremely toxic.” One chemical company selling fluoride to water suppliers describes it as “a colourless to straw yellow, transparent, fuming, corrosive liquid with a pungent odour and irritating action on the skin.” Source.